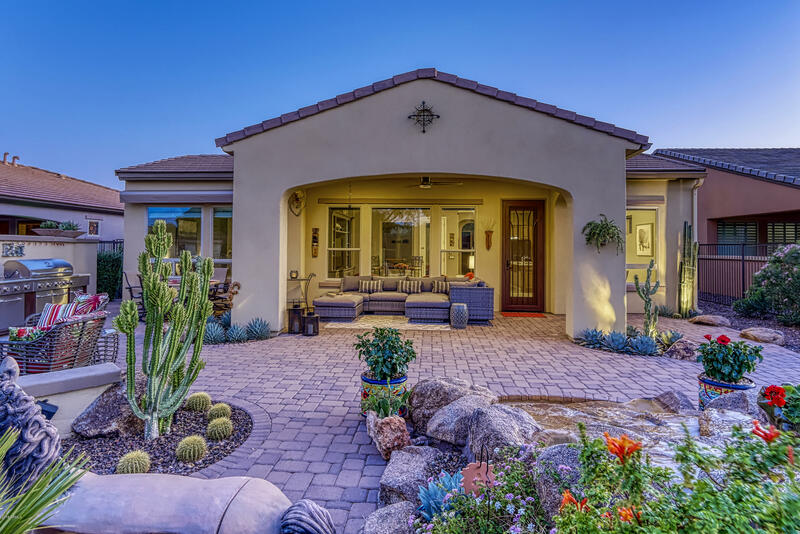 All TRILOGY AT VISTANCIA BATH homes currently listed for sale in Peoria as of 04/24/2019 are shown below. You can change the search criteria at any time by pressing the 'Change Search' button below. "Resort style living at its FINEST! Over $270K in upgrades & custom features! You'll be enchanted w/the charming courtyard w/gas fireplace, travertine tile & pergola, as well as the elegantly appointed great room & gourmet kitchen w/built in stainless steel fridge/freezer & 5 burner gas cook top! Newer quartz counter tops, tile back splash, pendant lights, touch faucet & sink! The spacious master suite offers newer carpet, walk in closet and a luxurious full bath! The guest bedroom boats a Murp"
"PRICE REDUCED, GREAT VALUE. Come & Compare. Welcome to this beautiful, immaculate home. No waiting, move in ready today. Built in 2014, home rivals any model. SheaExero energy efficient & 20 yr prepaid solar. 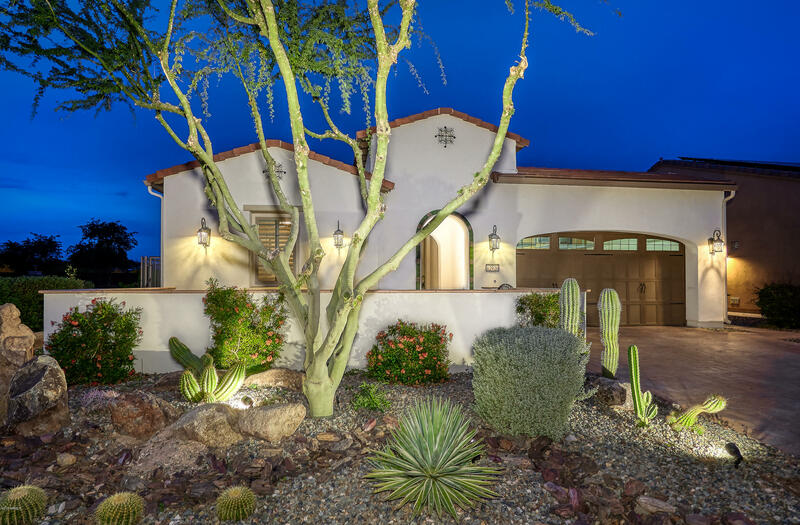 Highly upgraded kitchen; raised panel cabinets, soft close drawers, rollouts, stunning granite, & large island w/new pendant lighting; open to dining, great room, & secluded interior courtyard with gas frpl & natural light. Entertainment is a joy in the private back yard. Hear the wh"